I don’t know about you, but this was enough to shatter my perceptions of reality. 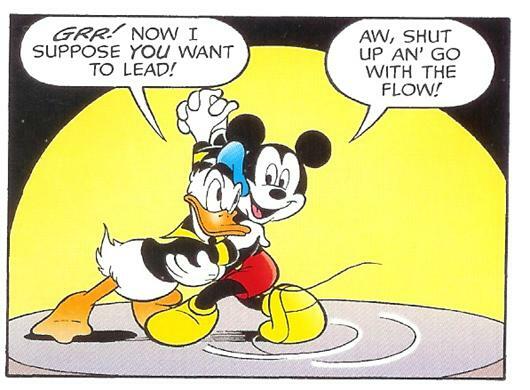 Donald’s response was perfectly in tune with the reader’s. 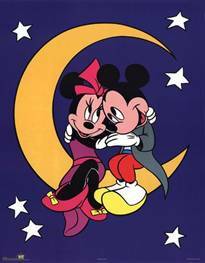 Watching his gal saunter away in the arms of another man, er, mouse could drive anyone loony and cause people to do strange things – like start a website called Comicbooktidbits. Yet we must wonder (by we, I mean the 2 people who visit the site), what would Donald’s response be? You know, I could try and come up with something witty here, but the above panel really speaks for itself. All I can say is, man, that must have been some party! 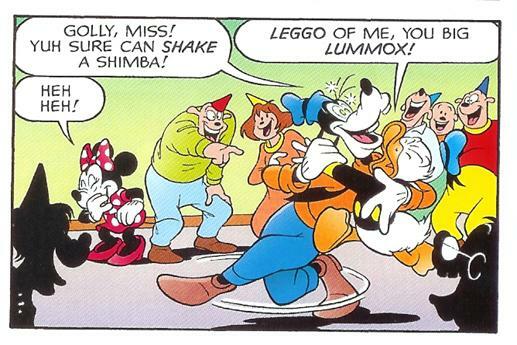 In this particular issue of WDCS, Mickey also got some unexpected help from a princess while trying to impersonate his double, Yekcim Mouse. 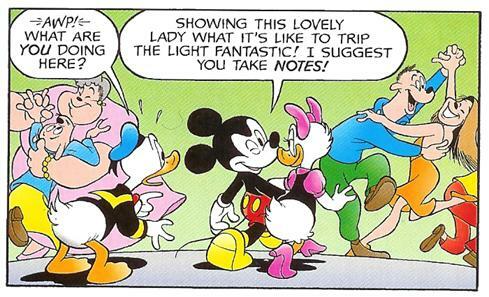 What do you suppose Minnie would think if she saw the following panel? 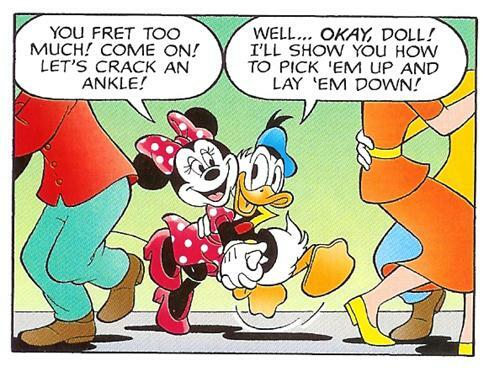 Who says Disney characters don’t know how to party!